« Energy Greenway Ribbon Cutting! 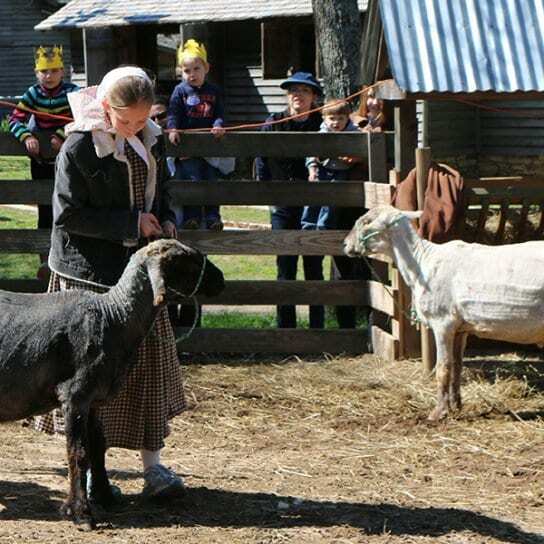 Join us for a taste of springtime as you visit our barnyard animals, experience historic skills, and learn about life on the farm during the 1800’s. This year we will have a few new animals visiting the park for this special event. Visitors are sure to be fascinated by the sheep-shearing and blacksmith demonstrations. Come observe wool being spun into yarn, give milking our faux cow, Boxy, a try, and help wash and card our wool. Learn what attending school was like in 1918 as you participate as a student in our Rosenwald Schoolhouse. You’ll leave with a new appreciation for modern conveniences after trying historic tasks such as rug beating, butter churning, and mattress stuffing!